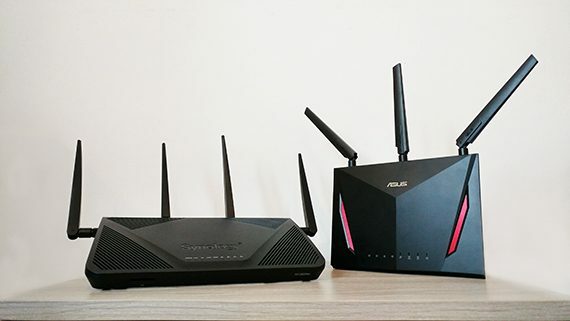 Although released a year apart from one another, the Asus RT-AC86U and the Synology RT2600ac will often come into mind as the top choices when selecting the best mid-to-high-end routers and even if at fist glance, each of these routers have targeted a different type of audience, both devices end up aiming at fulfilling the same needs, which include covering a large home with WiFi, featuring an easy-to-use user interface, as well as a good wireless performance and, most importantly, the long-term stability of the network. 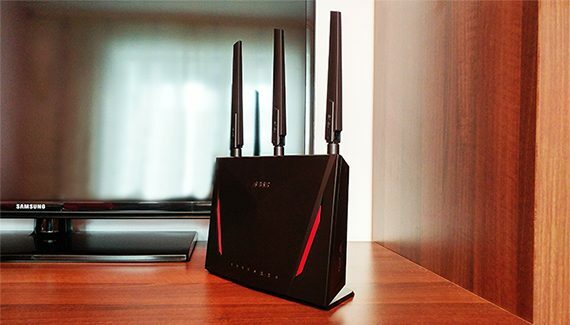 Unlike the other Asus routers that were created mainly for showing the manufacturer’s latest advancements in the home networking technology, the RT-AC86U’s main reason of existence is to replace the aged RT-AC68U, while also giving the option of working together with other compatible routers in a WiFi mesh environment. 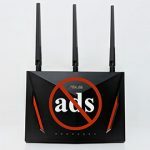 The AC86U is among the first to support the AiMesh technology but other than that, it doesn’t necessarily stand out from the other better-than-average Asus routers – and that’s not really a bad thing, because we get a balanced router equipped with features that can only be found on the top-of-the-line Asus routers, all that at a more reasonable price. The Synology RT2600ac, on the other hand, was created to allow the manufacturer to implement newer technologies and to run more complex tools that could destabilize a less powerful router (such as the first Synology router, the RT1900ac). Of course, the backbone of the RT2600ac remains the unique SRM OS which still offers one of the best user-interface experience and the beauty of it is that it allows the user to choose how simple or complex is going to be (through the add-on packages). That being said, let’s see which of the two routers is the better device. Note: You can also check the full review of the Synology RT2600ac and the full review of the Asus RT-AC86U. It isn’t a secret that it was Apple who created the whole minimalist design approach trend which has eventually infiltrated the networking market, where the standard was (and still is for the most part) the industrial-type design with a rectangular case and with lots of antennas pointing upwards from all around the device. 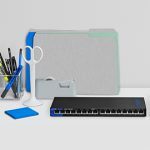 The Apple routers were definitely robust, well-performing and the main selling point was the clean look along with the easy-to-use interface, but, unfortunately, the manufacturer decided that the wireless router market is not worth pursuing any more. So, in a strange twist of events, it seems that the Apple Airport Extreme fans have found solace into the Synology RT2600ac because of its software and not really because of the design of the device. 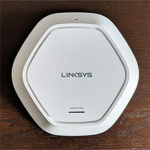 Furthermore, since all WiFi systems have decided to forget about the traditional router blueprint and follow Apple’s minimalist dogma, is there still a place for the one-unit router and is the arguably uglier and more industrial look still relevant? The answer remains yes and both the Synology RT2600ac and the Asus RT-AC86U carry the reasons to why this is true. The RT2600ac features a fairly large rectangular case (measuring 11.0 x 6.6 x 3.0 inches) covered by a black matte finish (does not retain fingerprints), with two rear-positioned feet to elevate the device by about 1.5-inches and with four detachable antennas rising from the back and lateral sides. 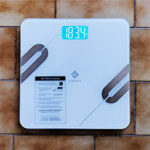 What you’ll immediately notice is the four sections of ventilation grills positioned on the top and, if you turn the device upside-down, you’ll also realise that Synology covered the bottom side almost entirely with ventilation cut-outs. This way the RT2600ac remains cool even if you run multiple heavy applications and the two feet will keep the case properly ventilated if you decide to mount the router on the wall. This is one of the advantages of this type of design, a large case with lots of ventilation grills will ensure a proper heat management. 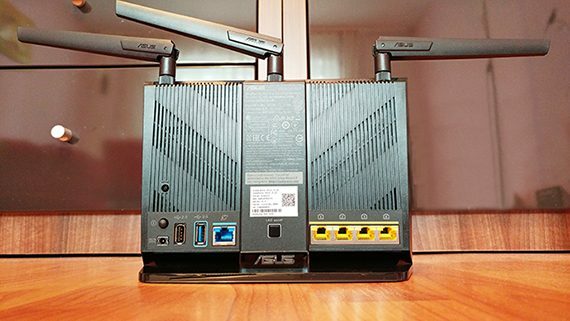 Although smaller, the Asus RT-AC86U can still be considered larger than the usual WiFi system node (especially because of the three detachable antennas positioned on top) and, when compared to the RT2600ac, it has some key advantages: in order to look as close as possible as its predecessor, Asus decided to keep the same dimensions (8.6 x 6.3 x 3.2 inches), so it has a far smaller footprint, making it easier to position inside the room, but, by being faithful to the original design, the RT-AC86U is also limited to one position (vertical) and the user can’t mount it on the wall. Similarly to the RT2600ac, the Asus RT-AC86U is also almost entirely covered in ventilation cut-outs (except for the front and the narrow bottom side) and, when put under a heavier load, the case won’t overheat (but it does get warm towards the top). 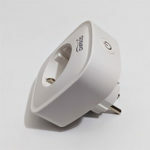 Another noteworthy advantage are the aforementioned antennas, which can be replaced or upgraded and offer the possibility of pointing them in the direction of your connected devices (while also having a better gain than the internal ones). Of course, when put next to the minimalist cases of the latest mesh systems, it’s clear that the traditional-looking router isn’t really living-room-friendly and some manufacturers have gone overboard with designing robotic arachnoid creatures that may begin moving during the night (yes, Asus and Synology included), but it is without a doubt that there still is a place for this type of devices on the market (the development of the AiMesh is the main proof that the traditional router isn’t going anywhere). One other fundamental difference between the new WiFi mesh systems and the single-unit router is the fact that the latter kept the array of LED lights, while the former went with a ‘simpler’ single LED. The Synology RT2600ac has positioned the LED indicators towards the front and they have the role of showing the Status of the router, the condition of the two radio bands (2.4 and 5GHz), the first and the second WAN ports and the status of the four LAN ports (the first LAN port can act as the second WAN). Asus has decided to put the array of LED lights between the two narrow red sections and they have the role of showing the status of the Power, the 2.4 and 5GHz radios, the WAN port and the four LAN ports. On the rear side of the Asus RT-AC86U, immediately underneath the ventilation grills, rests the Power button, the Power port, a USB 2.0 port, a USB 3.0 port, a LED On/Off switch, a Gigabit WAN port and four Gigabit Ethernet LAN ports. 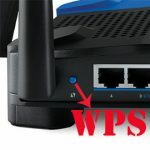 Furthermore, you can also find a large WPS and a WiFi On/Off button on the left side of the router. Synology has also added a section dedicated to some ports and buttons on the rear side consisting of a Power button, a Power port, a Reset button, a USB 2.0 port, a Gigabit WAN port and four Gigabit LAN ports. Additionally, on the left side of the router, rests a USB 3.0 port along with an Eject button, while on the right side, there’s a WPS and a WiFi On/Off button. One interesting and unique addition is the front SD card slot. Verdict: I really enjoyed the sporty look of the gaming-focused Asus RT-AC86U, but some people may dislike the limiting vertical position. At the same time, the Synology RT2600ac does offer a lot more flexibility from the position point of view, but it does have a larger footprint, so regardless off that, it still covers a lot more space. 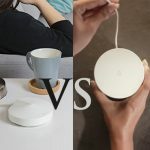 Now, both Asus and Synology have added all the necessary set of ports and connections and both devices have a good heat management (even if they rely on passive cooling), so, since there isn’t a significant difference between them, this round is a tie. The Synology RT2600ac is built on the Qualcomm Krait platform, being equipped with a dual-core IPQ8065 chipset clocked at 1.7GHz, as well as an Atheros QCA8337 switch chip, 512 MB of RAM (from Samsung) and 4GB / 8MB of flash storage memory (Toshiba / Macronix). 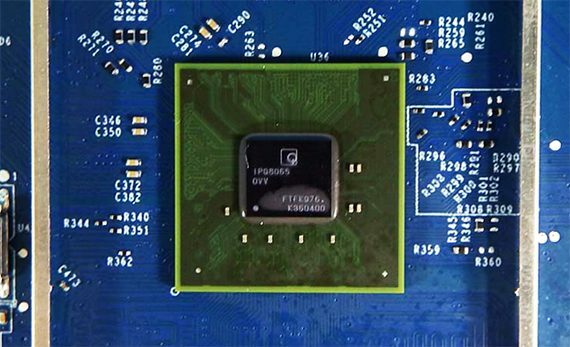 Furthermore, the 2.4 GHz radio band uses the Qualcomm Atheros QCA9984 (802.11a/b/g/n) chip along with the Skyworks SE2623L power amp and the 5GHz radio also uses the QCA9984 chip (a/b/g/n/ac) along with a RFMD PA5542 power amp. The Asus RT-AC86U went with the Broadcom platform, so it is equipped with a dual-core BCM4906 chipset (ARM v8 Cortex A53) clocked at 1.8GHz along with 512 MB of RAM (from Micron) and only 256 MB of flash storage (from Macronix). Furthermore, the 2.4 GHz radio band takes advantage of the Broadcom BCM4365E 3×3:3 SoC (802.11a/b/g/n), while the 5 GHz radio band uses the Broadcom BCM4366E 4×4:4 SoC (a/b/g/n/ac). 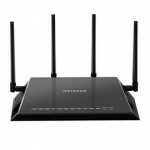 Note: While Synology RT2600ac has all its four antennas positioned externally, the Asus RT-AC86U has decided to use three external antennas and one internal antenna. 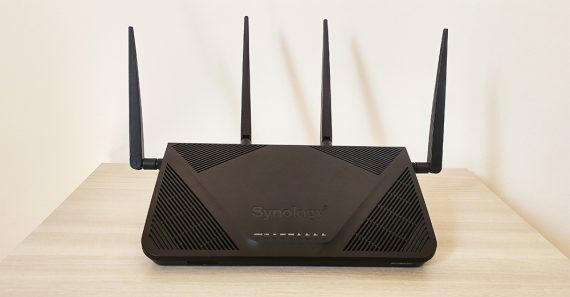 The Synology Rt2600ac is an AC2600-class router, so the maximum theoretical data transfer rate on the 2.4GHz radio band is 800 Mbps and it is 1,733 Mbps using the 5GHz radio band. The Asus RT-AC86U is an AC2900-class router, so it features a maximum theoretical data transfer rate of 750 Mbps using the 2.4GHz radio band and a maximum theoretical data transfer rate of 2,167 Mbps using the 5GHz radio band. Note: Synology and Asus decided to not include any built-in technologies to connect to a smart home environment, except for the good ol’WiFi technology. Verdict: Neither manufacturers have cut any corners when they equipped each of the two routers, but, the newer Asus RT-AC86U does come with a more powerful processor than the Synology RT2600ac, so it wins this round. 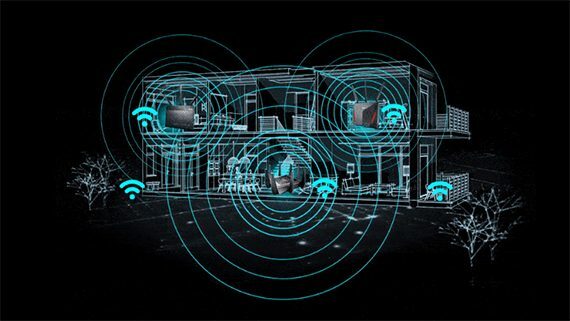 The emergence of the mesh WiFi systems about two years ago has forced many manufacturers to reconsider the usual one-unit approach and jump on the bandwagon by creating multi-unit systems which are able to cover a larger area. 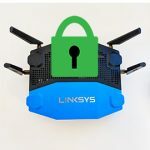 Asus has made an attempt to challenge the other already established mesh systems with its Lyra, but it did not have the impact that the manufacturer has expected and it has made a second attempt with a far better strategy by developing the AiMesh that allows the users to recycle some older routers and create a mesh system at a lower cost (it’s interesting that the AiMesh was announced immediately after the first Lyra system was released, so maybe Asus did not have so much faith in its Lyra from the beginning). 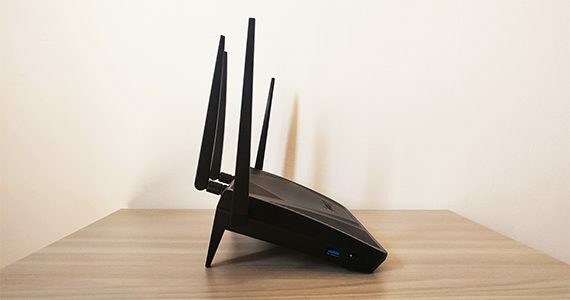 The RT-AC86U is one of the first routers to support the AiMesh and it can work as a stand-alone traditional router or it can be integrated into a mesh WiFi network and function as a node. So, the RT-AC86U can take its place into an optimized network of nodes, therefore allowing the creation of new paths which ensure that the data is reaching its destination safely and as fast as possible – the network automatically analyses the signal strength, the number of clients connected to a certain node, it searches for the least overcrowded radio band (and more) and it uses the current number of nodes to create these optimized paths for the data. Furthermore, in case a new node is added or if a node gets removed, the network will immediately detect the changes and will attempt to either create new paths for the data or use the remaining number of nodes in order to ensure that the data reaches its destination safely (and the user won’t experience any downtime). 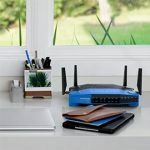 Even if it was released about the time the WiFi mesh systems started to get popular, the Synology RT2600ac does not have this type of technology implemented (still, I have noticed that Synology does have a similar project as the AiMesh in the works), but the router does take advantage of some 802.11ac Wave 2 features to ensure that it delivers an above-average wireless performance. Some of the main features that both the RT2600ac and the RT-AC86U have in common is the MU-MIMO technology, which ensures that the multiple wirelessly connected clients are served at the same time (as opposed to the SU-MIMO approach, where one client can be served at a time and the connected devices have to compete for the bandwidth). 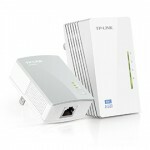 It’s worth noting that the MU-MIMO technology is not really as widespread as one may expect and this tech is rarely implemented with newer devices: except for some of the newer smartphones which do support more basic forms of MU-MIMO (2×2), but in order to use it at its full potential, you either have to purchase another router or a powerful WiFi adapter.